The year 1989 brought the fall of the Berlin Wall and the collapse of communism in Eastern Europe. It was also the year that the economic theories of Reagan, Thatcher, and the Chicago School achieved global dominance. And it was these neoliberal ideas that largely determined the course of the political, economic, and social changes that transformed Europe over the next quarter century. 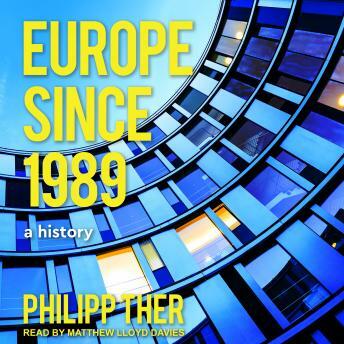 This award-winning book provides the first comprehensive history of post-1989 Europe. Philipp Ther offers a sweeping narrative filled with vivid details and memorable stories. He describes how liberalization, deregulation, and privatization had catastrophic effects on former Soviet Bloc countries. He refutes the idea that this economic 'shock therapy' was the basis of later growth, arguing that human capital and the 'transformation from below' determined economic success or failure. Most important, he shows how the capitalist West's effort to reshape Eastern Europe in its own likeness ended up reshaping Western Europe as well, in part by accelerating the pace and scope of neoliberal reforms in the West, particularly in reunified Germany. Finally, bringing the story up to the present, Ther compares events in Eastern and Southern Europe leading up to and following the 2008-9 global financial crisis.